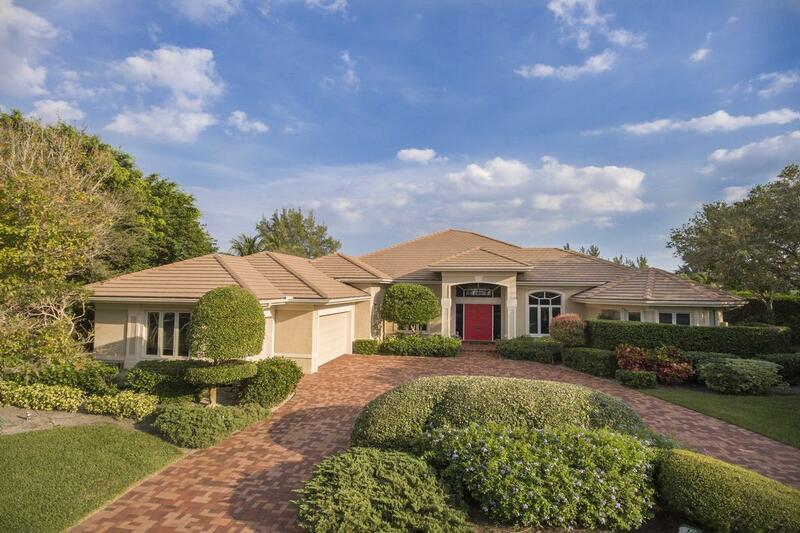 This special estate home is ready for a new family. 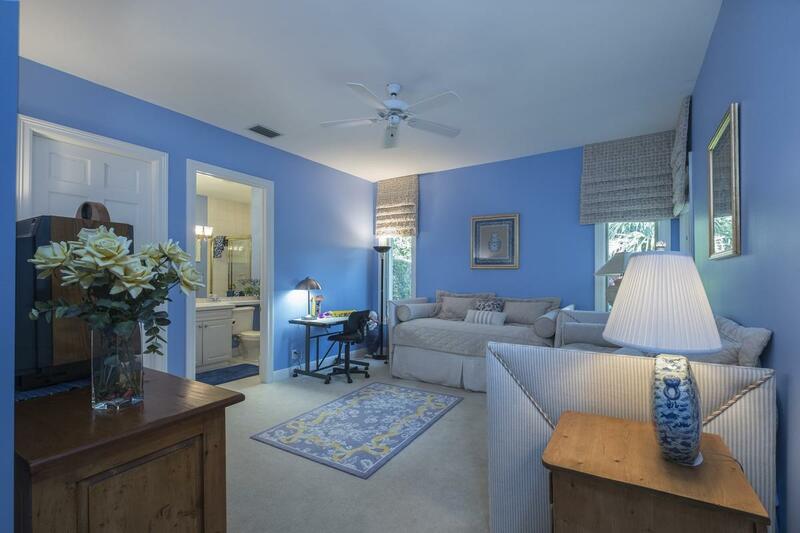 The floor plan allows for light and bright rooms with tranquil water views. 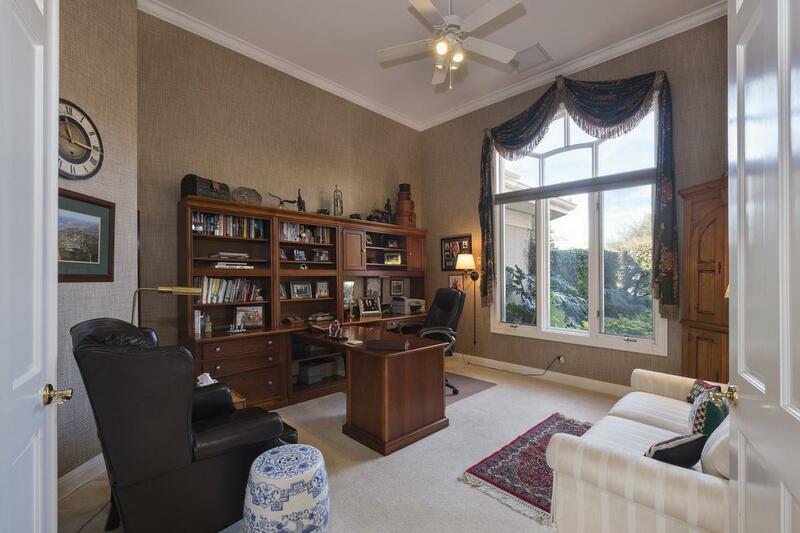 Lovingly maintained, the home features three bedrooms, an office and four and half baths. 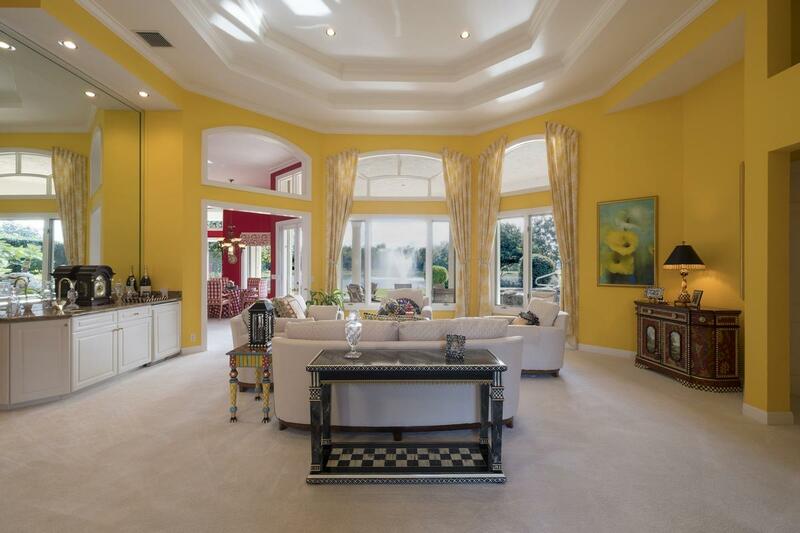 The view from the living room is captivating, and the space warm and inviting. 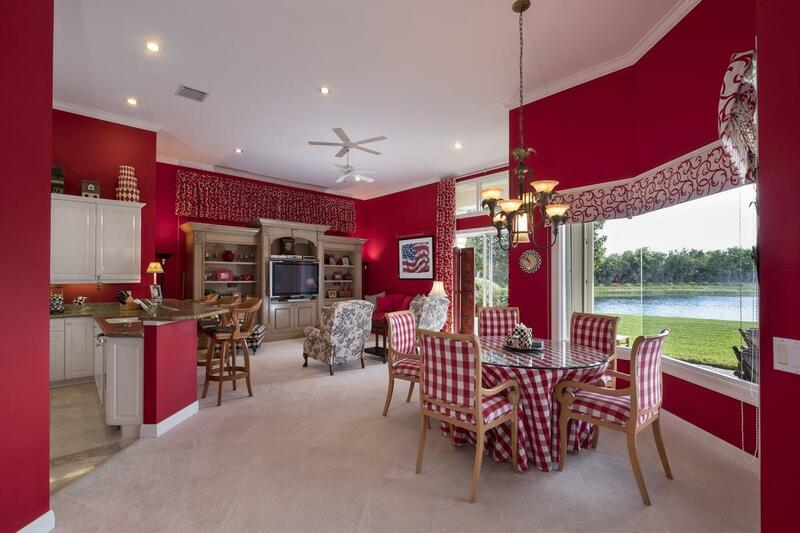 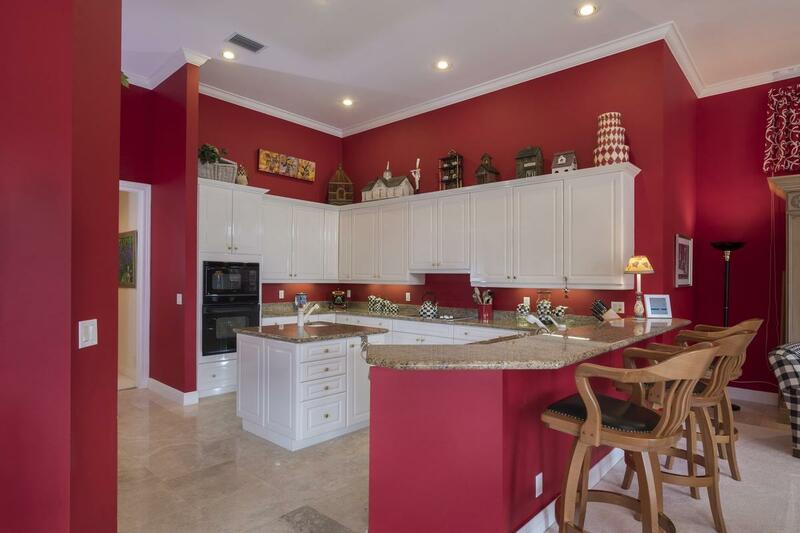 A wet bar is strategically located to serve the formal dining room, family room and covered patio. 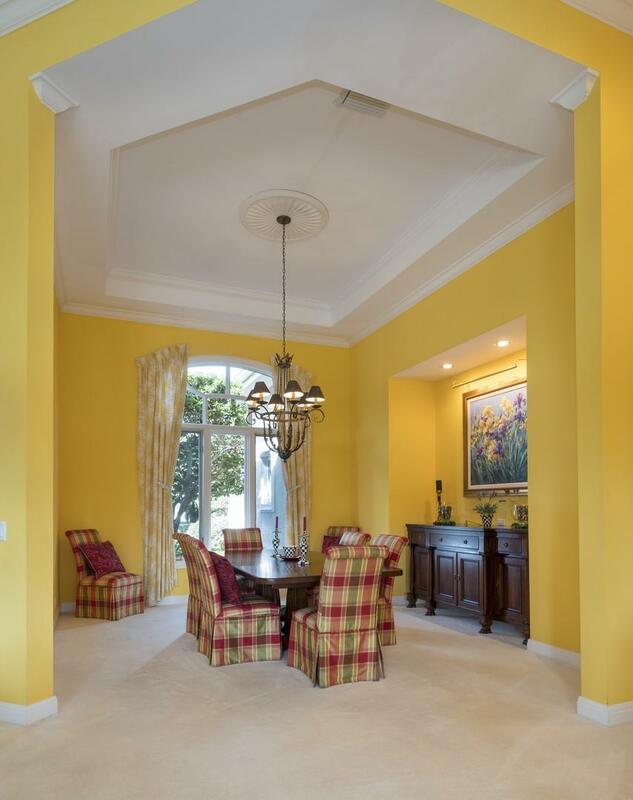 The kitchen/family room and informal dining area are the heartbeat of the home, and offer a great place for the family to gather. 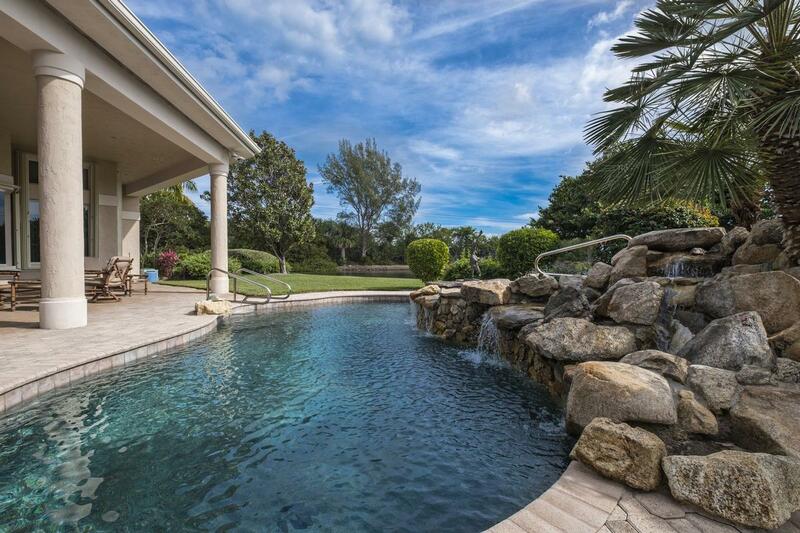 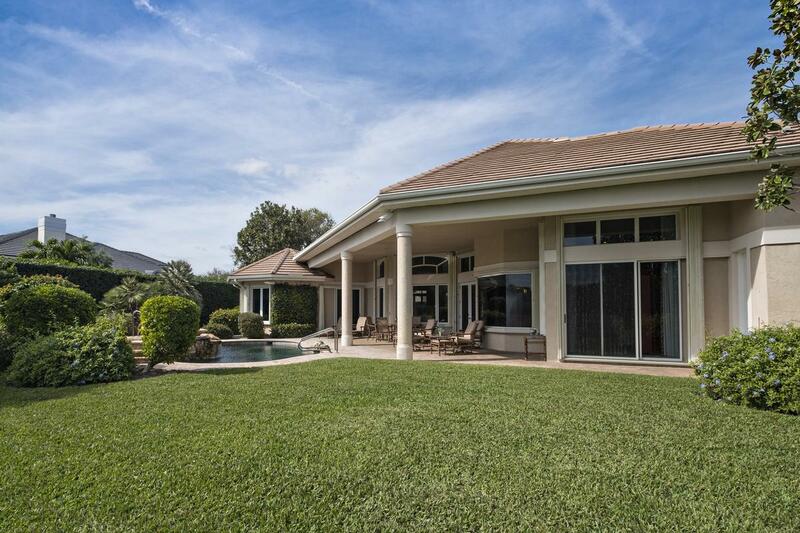 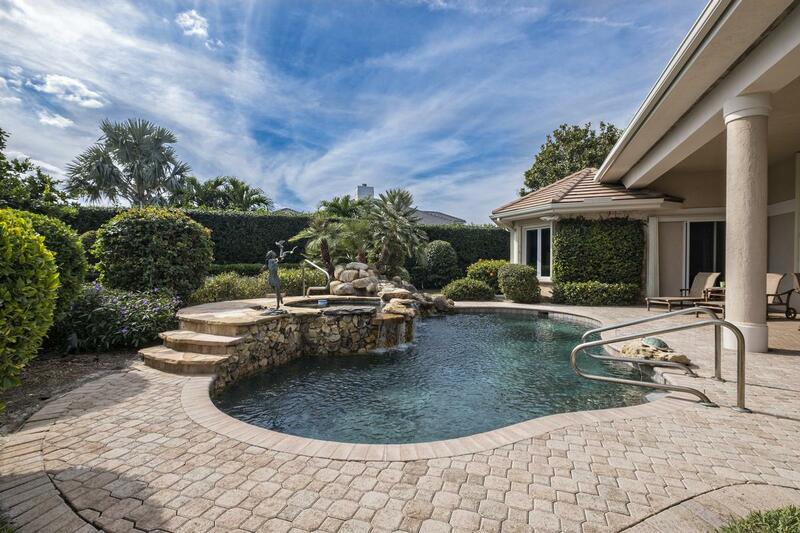 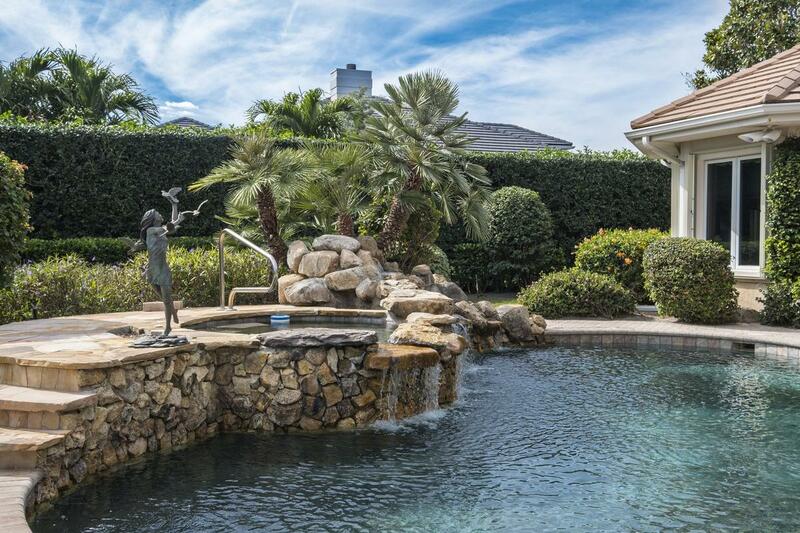 Just off the living and family rooms, the covered patio opens to a free form pool with a lovely stone waterfall. 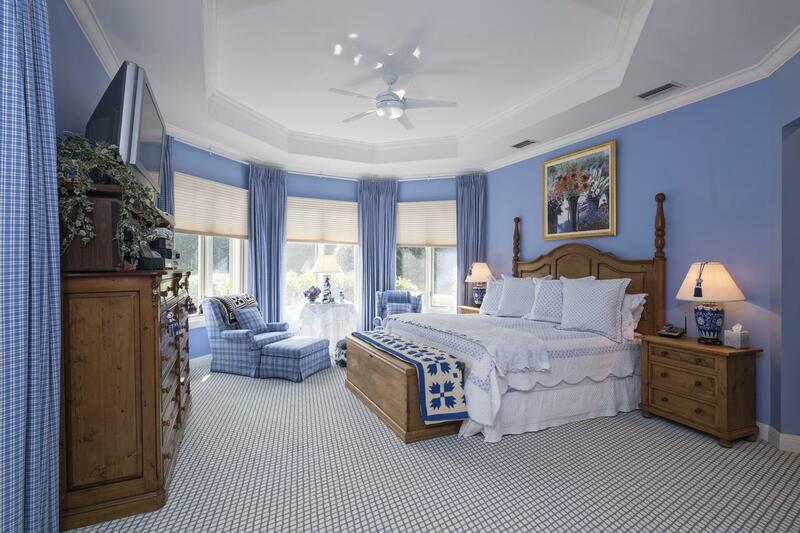 The large master suite with sitting area, his and her walk-in closets, separate tub and shower, plus views of the pool and pond, makes for a restful retreat. 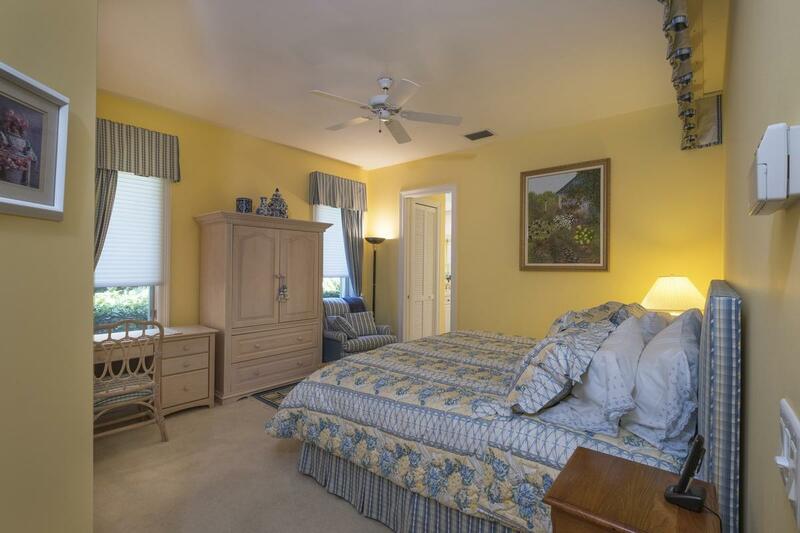 Two large guest rooms as well as a well-appointed office round out the floor plan offering ample room for family and friends. 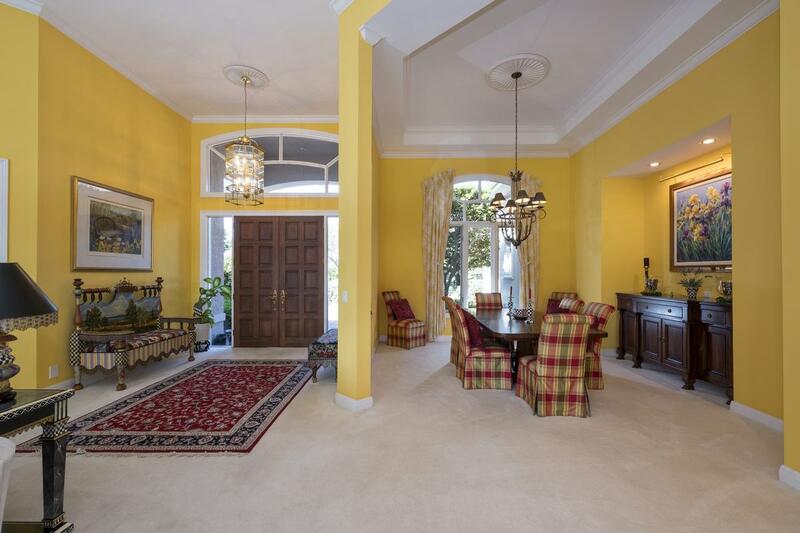 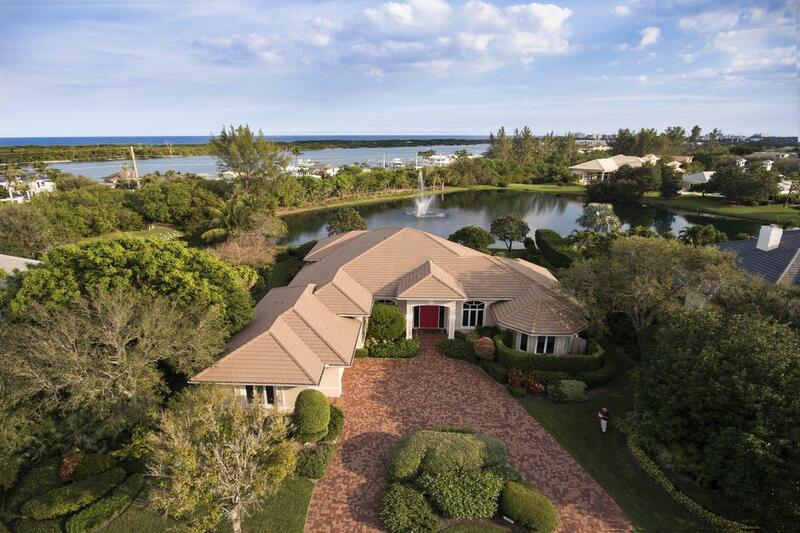 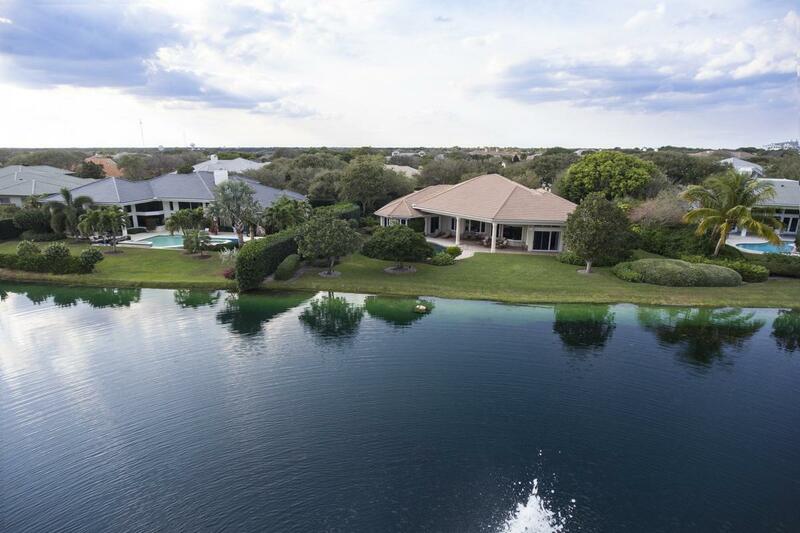 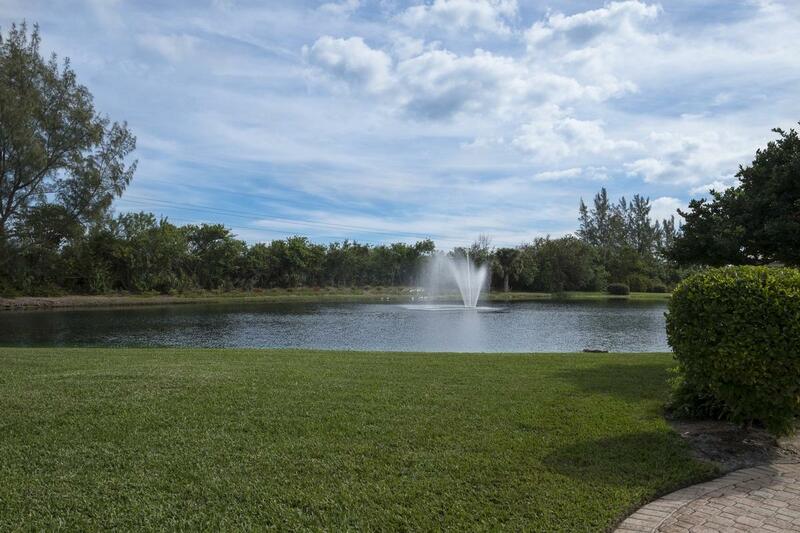 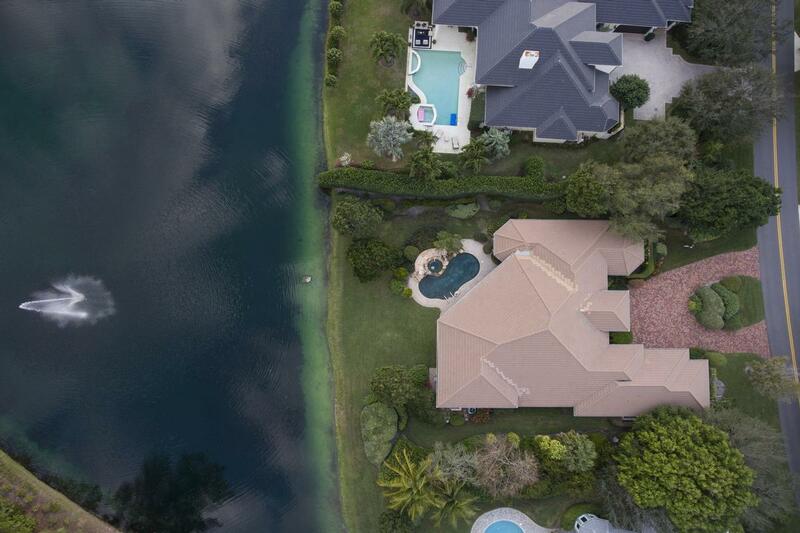 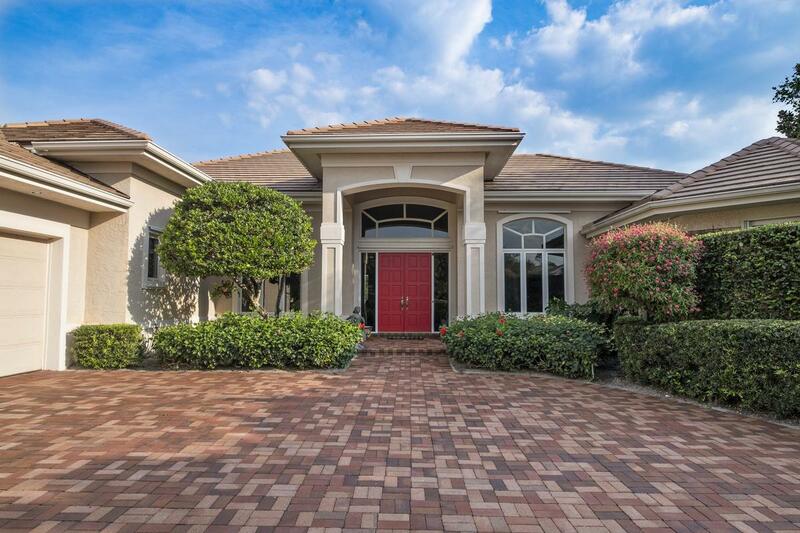 Just the perfect size, this is a great opportunity in Jupiter Hills Village.